While on the set of his new movie Tinker, Tailor, Soldier, Spy which is currently filming in Istanbul, a local news station caught up with Tom Hardy to ask him about being cast in the highly anticipated third installment of Christopher Nolan's The Dark knight Rises franchise. "I start in the summer of 2011 I think, I'm very excited about working with Christian Bale. ""Who am I playing? I'm not really sure [laughs]." 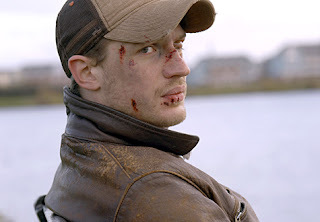 I'm reading: TOM HARDY IS ASKED ABOUT WHICH ROLE HE WILL PLAY IN [THE DARK KNIGHT RISES]Tweet this!